The Katespade offer is valid online only at surprise.katespade.com only until Thursday, August 25, 2016 at 11:59 pm PT. The offer not valid in store or at katespade.com. 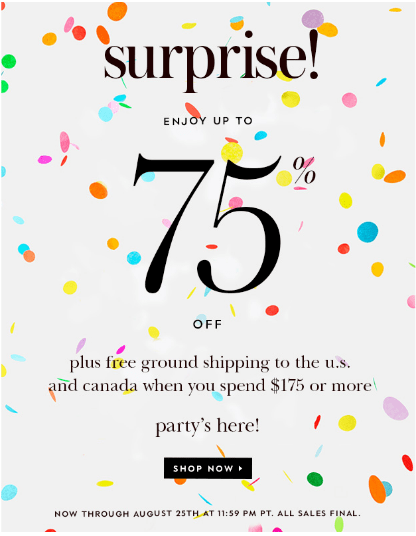 Click here to get Katespade online Surprise Sale.